Lesser Yam is called kizhangu/ cheru kizhangu or nana kizhangu. Kizhangu is the commonly known name in our place. It closely resembles poatoes or sweet potatoes but have hairs all around unlike potatoes. The botanical name of the plant is dioscorea esculenta, you may read more in wiki. They taste similar to any puzhukku and have a mild sweet flavor. We had this at home and kids love it a lot. A spicy dip to go along with puzhukku and a cup of black tea or coffee serves so satisfying and comfort. This method of boiling the tubers in water and salt is called puzhukku. Generally all tubers like kappa(tapioca), chena(yam), kachil(purple yam), chembu(taro root) are mixed up and boiled over to make a filling breakfast in old times in Kerala. 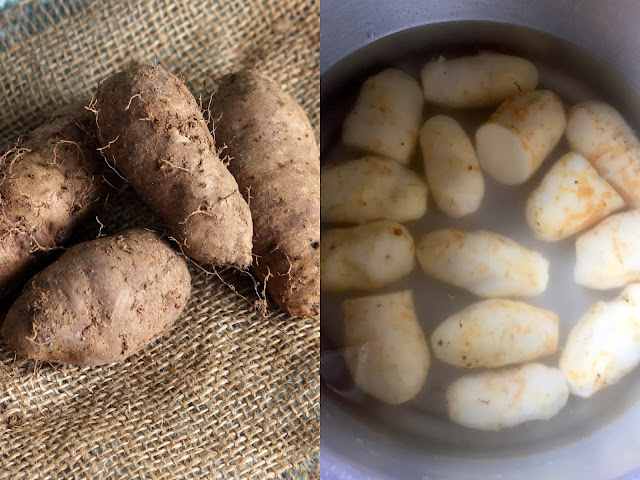 The word "puzhukku" refers to boiled and many places like Thrissur 'puzhukku' is used for mashed tubers like kappa vevichathu is called kappa puzhukku. Anyways this is how it is known as in our place. If you get hold of any other tubers can try this !! Scrape the skin of the taro root, the skin removes easily. Add it to a bowl of water as it tends to get browned faster. If big and required,cut in two halves. Don't cut too small or else the smaller pieces gets cooked faster and mashes. Drain the water and rinse two three times till water is clear. Heat the pan or cooker with enough water and transfer to the pan. Boil it over 20 minutes till its cooked through. In the last 5 minutes,add enough salt like 2tsp or so in water so that the kizhangu soaks up water. Drain the water completely after the kizhangu is cooked well. Serve warm with spicy chilly dip. * Don't add salt before hand else the kizhangu hardens and doesn't cook properly. * Once the skin is scraped it is slippery to touch and so be careful if you are planning to cut in halves, the kizhangu may slip from hands. Dosa huts and Dosa restaurants are gaining popularity these days. This is mainly because of the strong liking towards dosa by all age groups. Masala dosa is always our family favorite and there are lot of variations which can be added to this type of dosas. Mysore masala dosa, plain masala dosa, cheese dosa are few famous ones. I have tried making dosa waffles, dosizza which were a super duper hit at home, do try these if interested. This was a trial and error at home. I had some boneless chicken in the freezer and some dosa dough in the fridge. So,made this filling and gave this dosa a try. Kids really enjoyed the rolls as a after school snack. The filling can be used to make chapathis rolls too. I have made this dosa 2-3 times now and each time kids had a great time munching these. Enjoy with your loved ones too !! TO MAKE MASALA- Clean the chicken pieces and cut it very small cubes. Drain water completely, add the 1/2 tsp chilli powder, a pinch of pepper powder and salt. Marinate for half an hour, and then cook in a pan with a little water. Cook till done,drain water if any left over and keep aside. Heat a pan and add the oil. When it is hot, add the ginger garlic paste. Saute until the raw smell disappears.Add in sliced onion and saute until translucent(no need to brown it up). Add the spice powders on low flame and saute until the raw smell of disappears. Add the chopped tomatoes ,chopped coriander and mint leaves. Saute for a minute and add the cooked chicken. Toss well with the masala and add in the mashed potato. Mix well and cook covered on low flame for about two minutes. Finally add in the lemon juice and switch off flame. Leave the masala to cool. TO MAKE CHICKEN MASALA DOSA- Keep the dosa batter ready by adding salt to taste. Heat a griddle or tawa or non stick pan. Smear the top with oil and when it is hot pour ladle ful of batter and spread in rounds till the batter is thinned out evenly. Cover and cook for 30 secs till the top is cooked. Add a tsp of oil on top and spread the filling in the center of the dosa. Wait till the dosas are crispy, flip both sides to the center and remove on a plate. Serve warm just like that or with tomato chutney or sambar. * You can use the same filling to make chapathi rolls and serve for lunch box. * You can also add capsicum or any other veggies sliced to the filling to add an additional crunch. * You can omit the mint leaves and lemon juice if you don't like the flavors but the lemon definitely adds a chatpata taste to the filling. * You can even add grated cheese for additional creamy touch. Chembu(colocassia/ taro root) is available in two types- the big ones(popularly called cheema chembu in our place) and small ones(kannan chembu in our place). Chembu(taro root) is a rich source of dietary fiber and carbohydrates. They have many important vitamins and minerals in them. The stem and leaves are also edible of chembu (taro root). Chembu chips are quite addictive and tastes delicious. Mom uses the bigger ones to make the chips and I have also used the cheema chembu to make these fries.Usually Onam season is the time when different types of chips is fried like banana chips, nurukku upperi, kappa chips and so on. 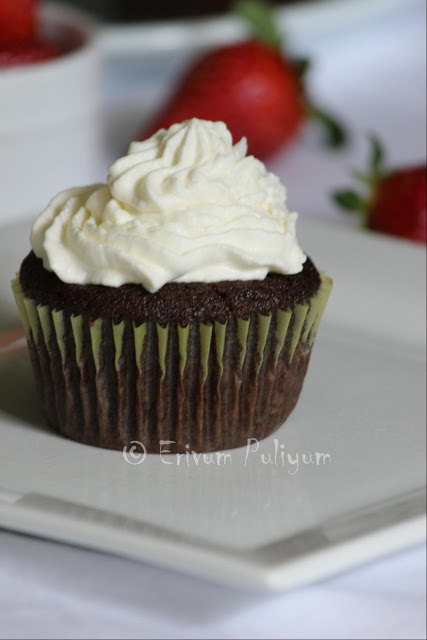 They are simple to make and hardly have anything in the ingredients. The only hard part is even cutting of the slices so that the frying part becomes much easier. Try these out, they are quite addictive !! Scrape the skin of taro root using a knife or peeler(The larger chembu hardly causes skin irritation so there is no issue if you wash in water ,the smaller ones may cause skin irritation and itch). Wash under running water and pat dry with a kitchen towel. Using a grater or knife cut small roundels of equal thickness. Else some gets browner faster. I cut with a knife alone. Heat oil in a kadai upto 2 inches deep. 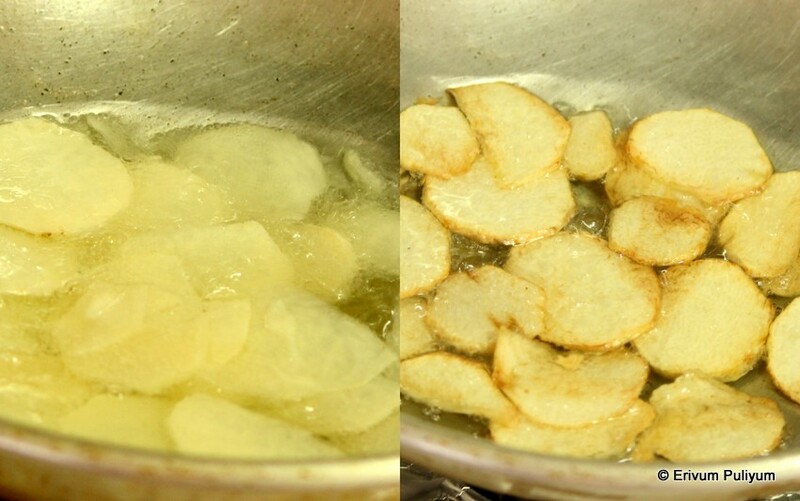 Slide the sliced chembu in oil.Don't overcrowd the wok and leave enough space for the chips to dance and fry. In the meantime,keep a small bowl with salt and water in it ready. When the chips starts to cling ,then pour a tsp of salt water in the oil on low flame. (the oil is hot and when you pour water you may get hot splashes,so reduce flame and pour.Also, wait till the bubble settle to do further actions). Fry till golden brown and drain with a slotted spoon on a paper towel. Cool completely before storing if you make larger batches or else just munch it over tea. * Remember to add salt water in oil and not after draining the chips else the chips become soggy if added after draining. * Even browning is the key to getting it right. Try and cut the slices in equal thickness so half the work is done to get it right. Badam Paneer Burfi (Step by Step Pics) ~ Diwali Wishes !! Diwali always reminds us of the lights and sweets. This is the peak time of the year when the halwais make best money and of course its the busiest time of their year. During this season, I have always wondered the source of supply of milk during this increased demand time. We never get to know if there is adulterated milk or milk powder milk or if they really pump in pure milk from outsides sources. Anyways just a word of caution, to be alert and buy sweets from trusted brands or shops. And if you can make sweets for your loved ones, then that's the best sweet treat for your dear ones. These are simple sweets that you can make in a jiffy and can be enjoyed. The original recipe was using cashews but I preferred to try with almonds(on a healthier note). If you like the cream color of paneer then you can omit the saffron strands but I loved to add the natural color of saffron to this burfi. These are more like the kalakand texture and so its a bit hard to cut in neat slices like milk burfi. 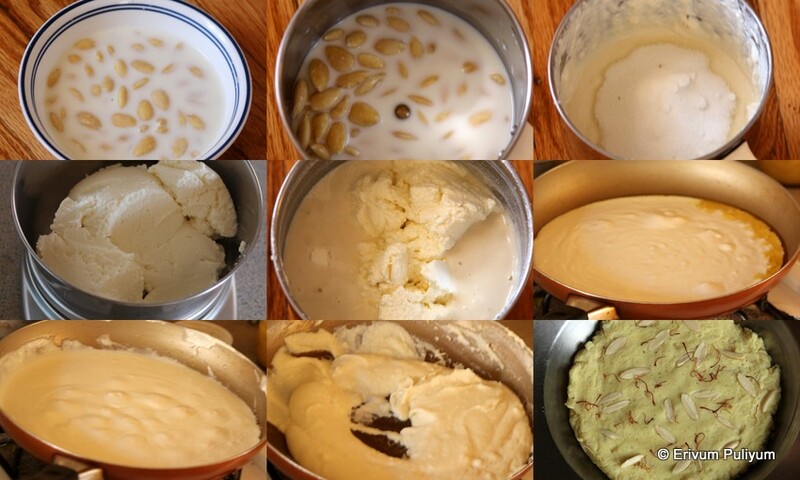 Refrigerate the made burfi for 3-4 hours before you cut in slices. You can add your own toppings of chopped nuts. I thought Diwali is the perfect time to enjoy sweets and also my page crossed 3 million views(though not a big number for the years of blogging) recently, so that definitely needs a yummy treat to share. Am happy to have started blogging, Thanks to all my supporters,well wishers,blogger buddies and readers who trust my recipes and have visited,left comments and feedback always. Your likes and valuable feedback always inspires me to correct my mistakes, gain more confidence and share yummy delicacies with you all. Thanks again, all.. Hoping to see you all around in the coming posts too !! Soak the blanched almonds in warm milk for 2 hours until the almonds are soft. Soak the saffron strands in 2tbsp milk, keep aside.Grind the almond milk mix after 2 hours,smoothly in a mixer jar along with the milk. Add the sugar and crumbled paneer in the mixer jar, grind again to a smooth consistency. Heat a non stick pan and add ghee in the pan. Add the paneer almond mix, keep stirring the mix and wait till it is thickened. Using a wooden spatula, keep stirring the mix using a spatula scraping the bottom layer(else the bottom layer gets burnt). It may take roughly around 20-25 minutes on low medium flame. When the mix starts to leave the sides of the pan and ghee starts to leave out, then it is ready to transfer. Add the cardamom powder at this point along with saffron mixed milk. Give a quick stir. Grease a plate/tray with ghee and keep ready. Transfer the prepared burfi mix in it and using a spatula, spread it evenly. Add the sliced almonds or chopped pistachios on top with few strands of saffron. Press it down lightly with thge spatula and leave to cool at room temperature or refrigerate for 3-4 hours to set. After 4 hours, cut the burfi in pieces you desire and enjoy !! * You can even add yellow food color to make it more colorful but personally I avoid food color wherever possible. * The original recipe was of Kaju Paneer Burfi (adapted from nishamadhullika.com) which I replaced with almonds and saffron. * You can use cashews instead of alomnds and make kaju paneer barfi. 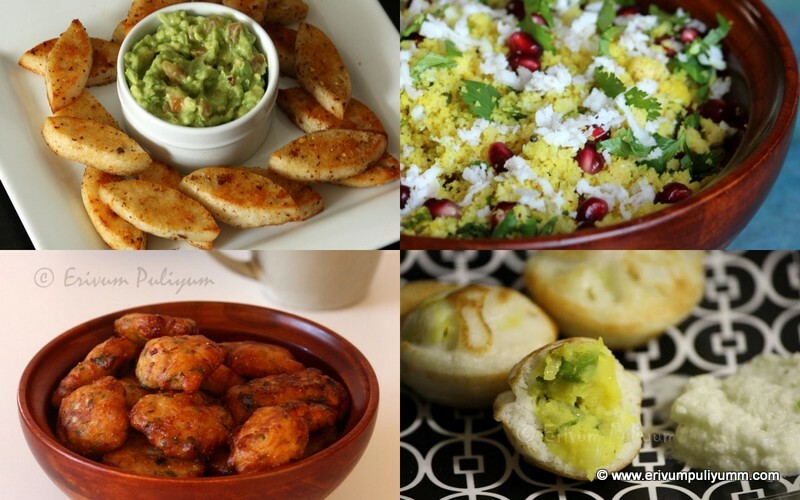 For all Diwali delicacies,a quick link is here for the last minute preparations. Muthira(horse gram) has the highest calcium among pulses and is one of the richest source of vegetarian protein. It also has considerable amount of iron. Its slow digestible starch makes it ideal for diabetics and obese patients. Muthira thoran(horse gram stir fry) is a Kerala style recipe that is often made in H's place. My mom used to make this thoran(stir fry) once in a blue moon and we used to like it though. There is quite some difference in style in both mom's preparations. In my home,the cooked muthira(horse gram) remains untouched with one another and coconut is added in this preparation. I used to love that thoran(stir fry) to be serves as a after school snack generally. On the contrary, my MIL cooks it very well,adds chilli powder alone (without coconut to make) and leaves the water as a thick gravy in the stir fry. Gradually I developed my own version of this thoran(stir fry) and have come up with my own way of doing it. I cook it very well and add coconut too. Muthira(horse gram) is considered a hot pulse and so adding coconut brings down the heat considerably. Muthira thoran(stir fry) serves perfect with rice gruel and tastes yum with kadumanga side. Wash the muthira(horse gram) under running water and using sedimentation method,clear out any stones or impurities that settle down in the bowl. Usually muthira(horse gram) has lot of sand and stone impurities, don't ignore to sieve or clean before you make the thoran(stir fry) . OR these days we get cleaned packets of muthira(horse gram) in super markets which is free from all impurities. Soak the muthira(horse gram) ideally for 3 hours to over night (if possible). Drain the water and transfer the muthira in a pressure cooker with new added water, salt and turmeric powder. Pressure cook for 5-6 whitsles until its cooked(The number of whistles depends on the quality of horse gram used and the soaking time). Just make sure that there is enough water in the cooker each time before you pressure cook again if needed. Heat oil in a pan. Add the sliced shallots and curry leaves. Saute until lightly wilted. Add the chilli powder on low flame an saute until the raw smell disappears. Add the cooked muthira(horse gram) and mix well(add reserve water too if any). In the mean time,coarsely grind the coconut,garlic cloves and cumin seeds.Add this mix to the muthira(horse gram) and mix well. Cook covered on low flame for two minutes until its well combined. If there is any moisture left out,then cook on high and dry up the moisture. Switch off flame and enjoy with steamed rice ! * You can omit adding the coconut too.My MIL makes that way,tastes good but I love adding coconut. In case if you are not adding coconut then, add the garlic cloves with sliced shallots and saute. * You can prepare cherupayar(green gram) or vanpayaru thoran(cow peas) the same way. * Muthira tastes good when its a little spicy and so I have used 3/4 tsp of chilli powder. Alter if you don't like spicy. 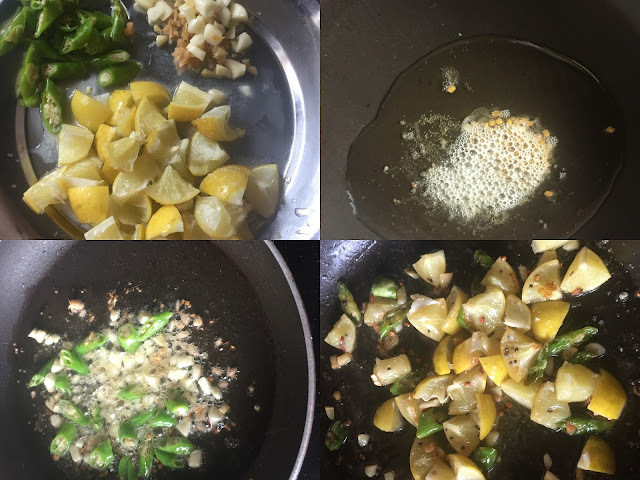 You may also be interested to check out other Kerala stir fry recipes, click here. Idlis and dosas are served with many different types of chutneys. This is a very traditional style of chutney. This chutney is more on the spicier side and so I don't make it often but at times when kids are bored of the regular thakkali chutney(tomato chutney) and thenga chammanthi(coconut chutney) then I prepare this to break the monotony. This chutney is a lip smacking one if you properly balance the spice,sour and salt flavours. However,the prices of shallots are too high now and looks extravagant to use a cup of shallots to make this chutney, Isn't it? I had this in drafts since long and just digged it out at the wrong time I suppose. Hopefully, we can make this when the prices go lower and make sure to use shallots(not onion) only to get the authentic mildly sweet flavor. Do give this a try !! Heat oil in a pan and add dry red chillies. Saute and then add shallots, fry till it turns translucent(pale pink). Add in the curry leaves. Switch off flame and then leave to cool. Grind this in a blender jar with tamarind and taste testing the salt. Blend until smooth.Transfer to a plate and serve with dosas or idlis or instant ragi dosas. * You can use chilli powder instead of dry red chillies but the chutney tastes more delicious with fried red dry chillies. * This chutney tastes better if its more on the spicier side. But if you don't like the heat then reduce spices accordingly. * Don't add any water to grind the chutney. * The color of the chutney depends on the color of the tamarind used in making chutney. If the tamarind is fresh and new then the color of chutney is on the lighter side. As the tamarind ages, the tamarind turns deeps brown and so the color of the chutney. * The type of chilli used also affects the color of the chutney. Please do take a peak in the chutneys and dips page here for more related posts. Passion Fruit is a tropical fruit with a rich source of anti oxidants. It has a tough outer rind with juicy seed center. They are available in purple and yellow varieties. Passion fruit contains good fiber,vitamin C, beta carotene, polyphenols and Vitamin A. Passion fruit is also helpful in easing pain in joints(osteo arthiritis). Passion fruit is widely used in drinks, toppings over desserts esp cheesecakes and can be used over salads in the west. I have seen drinks made with passion fruit and mango and many other combinations. Back here in my place, my mom has a passion fruit climber and I happened to get a good batch of these fruits when I went home. The passion fruits are versatile and everyone loves it at home. I have seen people throwing out passion fruits in Kerala homes as none eats passion fruit or uses it up. But if you ever heard the health benefits of passion fruit,you may not throw them in trash.I also prepared passion fruit squash with these cutees but couldn't click pictures and the drink got over soon. Kids happened to walk in and out of the fridge each time to pull out the bottle, add few tbsp of the squash, add water and enjoy. How simple,right? And how healthy too. The passion fruit has sour flavours dominant and definitely needs equal amount of sugar in a juice to balance it up. If you get hold of ripe passion fruits,then go ahead and enjoy making this juice !! Wash the passion fruits under running water and cut them in halves. Scoop out the pulp using a fork in a bowl. Add to a bowl, repeat till you finish scooping out all except a half passion fruit. Transfer this pulp to a blender(reserving the half passion fruit pulp in the bowl). Blend the transferred mix and run the mixer or blender twice for 5 secs each. Strain the juice in a strainer by holding above a bowl. Add the reserved pulp to this strained mixture. Chill in refrigerator and enjoy !! *Use sweet as per sweet tooth and this above mentioned quantity of sugar can be varied depending on your sweetness. This recipe yields a moderately sweet juice. *You can even hand whip the passion fruit and add the water,sugar to it. In that case there is no need to strain the juice. *The seeds are crushed when blending so its better to strain and use. Though the seeds are edible but the broken pieces may not be appealing like the whole seeds. For more juices,smoothies and shakes, click here. 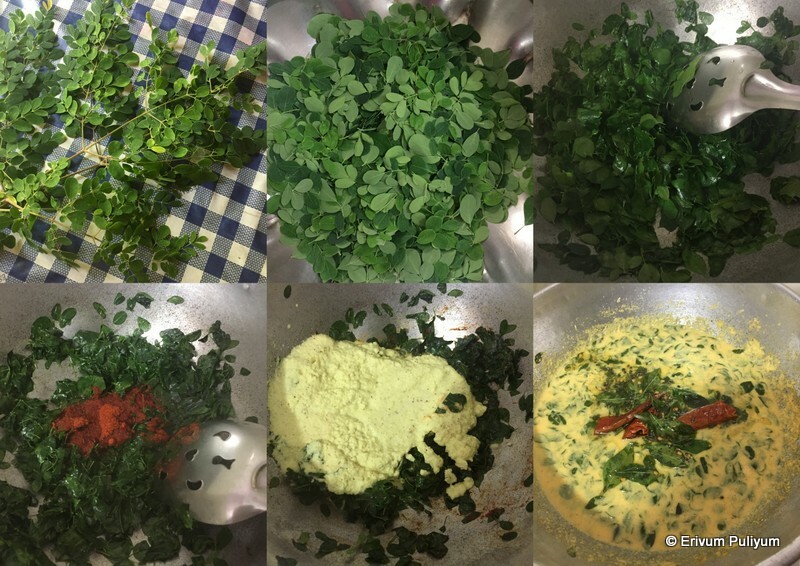 Muringayilla(Drumstick leaves) recipes are always a big yes to our family. The only drawback is getting fresh leaves in hand unless you have these at home. When we were in US, the indian stores used to get them and were one of the costliest leaves in th Indian stores due to the increased demand. The bunches would be very limited and would vanish in no time. Here I hardly see any super markets or grocery shops having muringayilla(Drumstick leaves) for sale. But back home we have fresh leaves in our backyard and all Kerala homes may be having at their home. The tedious task of these leaves is the separating of leaves from the small veins and tiny branches. Although I heard that the leaves if left overnight in refrigerator eases the task of separation and can be shaked off easily in a bowl. But mom didn't consent the idea of storing these leaves and say should be used fresh as you pluck. Hence I haven't tried that method yet. Muringayilla(Drumstick leaves) is used as soups, stir fries or curry. This curry was introduced to me in a restaurant long back as a child. Gradually mom started making this at home and I adapted from her. I find this as a quick fix curry that you can prepare and if you have nothing left in your pantry. This curry tastes delicious with steamed rice and a spicy stir fry(mezhukuparetti). Muringayilla(Drumstick leaves) is a booster pack of all major vitamins and minerals. They are rich in calcium and vitamin A. They also stimulate the nervous system. They have seven times more vitamin C than orange fruit an so boosts the immune system. They prevent anemia and contains the iron mineral in considerable amounts. Thy have many essential amino acids that increase the appetite. They also have good amount of fiber that helps prevent constipation. They also help control blodd sugar in diabetes. Muringayilla(Drumstick leaves) also acts as a detoxifying agent and there by removes all toxins in the blood. Drumstick leaves soup can be used to treat asthma as it acts as an anti inflammatory agent. They are also known to increase breast milk secretion and is used by expectant mothers and lactating. So if you get hold of the leaves at least once a month we should definitely consume them. PS: It is said that we shouldn't use muringayilla(Drumstick leaves) during karakkidam masam of Malayalam calendar that ie somewhere in July and August. The leaves are considered toxic these months. they absorb the toxic minerals from soil and so are said to be inedible during these months. Shake off the leaves by holding the bigger stems(helps to get rid of small insects,spiders if any). Clean the muringayilla carefully by removing the bigger stems and then the small little stems to be separated out, leaves should be alone saved in the bowl.Discard any yellow leaves if present. Wash under running water once to remove any impurities and drain in a colander else its hard to hold the leaves together and they generally float on top of the water. Heat a kadai and pour oil. When it is hot,add the cleaned leaves. Saute until slightly wilted.Add the chilly powder and saute on low flame. In the mean time, grind the ingredients listed ' to grind' to a smooth paste by adding very little water. Add this paste to the wilted leaves. Cook on low flame for 2 mins. Add a cup or more water to make the gravy watery.Add salt as needed an simmer for 2-3 mins until the curry is thickened and combined well. Switch off flame. Heat oil in another pan and add the mustard seeds when hot. Add in dry red chillies and curry leaves.Pour this over the curry and serve! * You can even add 1/4 cup cooked mashed dal to this curry to add substance to the curry. * Don't cook the leaves too long and it loses the flavor. * Add salt once the leaves are wilted or you might end up adding more salt than required. * Adding water to the gravy totally depends on your personal preference of how watery you want the gravy. 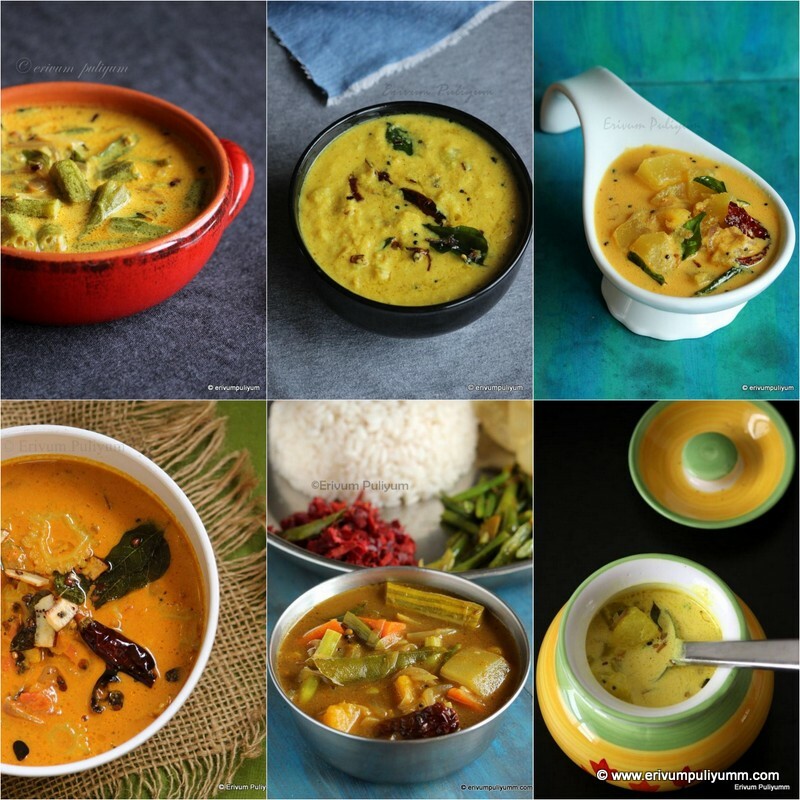 For all Kerala veg curries(nadan ozhichu curries), Click here in this link. Chocolates are always in demand whether it be a festive season, a birthday party, a work party or any joyful occasion. How about chocolate truffles? Chocolate truffles are rich elegant bite size chocolates made from a creamy mixture of chocolate,cream and butter that can be dressed up with different coverings. Cocoa or chopped dry nuts or shaved chocolates or icing sugar can be used. I used three diffrerent type of coverings and loved the nuts covering the best. truffles can also be used to decorate any chocolate cake as a topping. Truffles store very well and they best serve at room temperature. They can be stored in refrigerator for months. If you have left out chocolate ganache after you use up for some recipes,you can directly make use of ganache to roll them in truffles. The chocolate ganache recipe and this truffle recipe are almost the same.Diwali is close by and if yo are looking to gift something quick and homemade,then here is a wonderful choice to gift your loved ones.There is hardly any cooking time and very less effort to put together. Kids will definitely love it,enjoy !! Take the chocolate in a bowl and break in pieces. Keep aside. Heat the cream and butter over medium heat till it almost reaches boiling point. Pour immediately to the chocolate bowl.Let it stand for 2-3 minutes and then mix the chocolate with a spoon/ spatula,till it melts completely with the cream(if the cream doesn't melt completely then use double boil method or microwave for 20 secs).Whisk the chocolate using a wire whisk and add the liqueur if using(I haven't used). Cover and place this mixture in the refrigerator for several hours or overnight until its firm. Keep your coating ready in a plate (I rolled few in cocoa, few in powdered cashews,almonds and walnuts mix and few in icing sugar). Remove the truffle mixture from refrigerator and scoop out small portions of the truffle mixture using a spoon or melon baller. Immediately roll it in the cocoa powder or crushed nuts. Place on a parchment paper and refrigerate until its firm again. These can be stored in refrigerator for months or can be made before hand and kept (I had no left overs as I made a small batch of 15,got over in two days). * The recipe is adapted from joy of baking. The recipe is the same as the chocolate ganache recipe except for the rolling with nuts and cocoa powder. You can use any left over ganache for making these cute truffles. * You can add half a tbsp of liqueur like cognac or brandy to the mix for added flavor. I haven't used that. Quail eggs are three times more nutritious than regular chicken eggs. The health benefits of quail eggs include their ability to improve vision, boosts energy levels, stimulate growth and repair, improves metabolism. These eggs are helpful to treat cough,sinus allergies and asthma treatment. This is the main reason that I started introducing in our family to improve kids immunity with the use of quail eggs. Kids have started liking these cute little eggs. This is a simple egg roast that can be made quickly and tastes delicious. Soft idiyappams with this egg masala serves as a yummy combo. If you like a watery gravy then add coconut milk to dilute the gravy and serve with it !! Wash and hard boil the eggs in water with a tbsp of salt(helps remove shells faster) for 10-12 mins or hard boil them in a pressure cooker. Remove from fire and transfer the boiled eggs in an ice water bowl. Remove the shell and make tiny gashes on each egg. Heat oil in a pan and add oil. Slide in the sliced onion,chopped ginger and curry leaves. Saute until the onions turn translucent and is nicely caramelized. Add the spice powders except garam masala on low flame, then add in the chopped tomatoes.Mix well. Simmer and cover, cook for 2-3 minutes. Stir again till the tomatoes are mashed well. Add the garam masala and boiled eggs,mix well. Add in the coconut milk (if using), a pinch sugar and give a quick stir. Switch off flame and serve warm with idiyappam or chapathis or rotis. 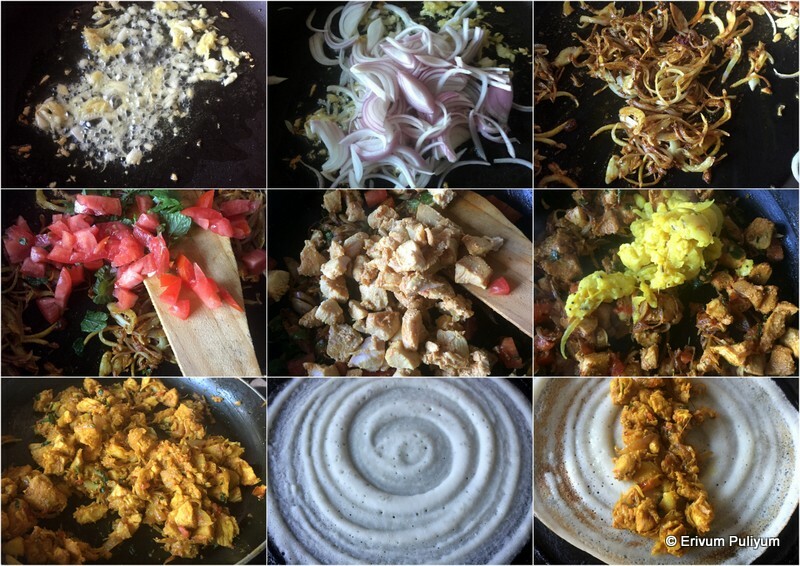 * Adding fenugreek powder(uluva podi) adds a unique flavor. Add if you like feugreek(uluva). * Adding coconut milk adds a sweet flavor,also gives a nice masala coating to the eggs. If you like a watery gravy, then dilute it with more coconut milk. * I used the hot chilli powder but if you use kashmiri chilli powder will enhance the color of the masala. Onam is over a month back, and am still sleeping over the recipe..no, actually I made this for our sadya this year and was saved to drafts. Better late than never,right?? So posting this lovely pickle now. Not only for sadyas, this pickle is good with kanji(rice gruel) especially when served if you are sick or having fever. I usually make this pickle in very small batches and use no preservatives, that way makes me feel better that am not using any added preservatives. I have made this pickle when i was in US but the lemons that you get there have a very tough skin and so it is not easy to soften them up quickly. In that case its better to make the pickle before hand and preserve with vinegar(so that the skin softens). Lemon pickle in itself is an invariable accompaniment item with all Kerala main course food whether that be biriyani or sadya or regular meals. But this white lemon pickle or vella naranga achar is an unique pickle served during sadyas. This pickle has no preservatives added and needs to be used within two weeks. This is an instant pickle that can be made and served the next day itself. It has spice sour flavors with a mild bitter touch. This is often had in between payasam servings to enjoy more payasam. This is my mom's version of pickle, she doesn't add any preservatives to this pickle. She usually makes a small batch of this for sadyas and she makes the regular lemon pickle(always has a bottle of this pickle) that I have posted earlier. Wash and steam the lemon till the skin is soft(about 7-8 mins).Allow it to cool,wipe dry with a paper towel and cut into pieces when completely cool on touch. Cut the lemon in 8 pieces then finally mix with salt and keep aside for half an hour(leaves out juices). Heat oil in a pan and add mustard seeds. When it splutters add fenugreek seeds,saute on low flame. Slide in chopped ginger,curry leaves,garlic and green chillies and saute till the raw smell disappears.Add asafoetida powder and mix well.Add in the lemon pieces, mix well. Add 1/2 tsp of sugar to balance flavors(omit if you don't like that way). My mom doesn't add sugar but I found this added touch brings out more flavors and balances it up. Switch off flame and cool down.Store in jars/ glass bottles once completely cooled. You can serve immediately but I feel after two days the lemons are well coated with spices and leaves out juices to give the pickle more taste. *You can boil the lemons too.If boiling,remove the lemons before the skin cracks open. *The actual chillies used is bird's eye chilly(kanthari mulakku).But I couldn't find these here and so replaced with green chillies. *This pickle has no preservatives like vinegar and is made on the previous day before sadya so that flavors seep in and is used instantly. If you plan to preserve longer then add 2 tbsp vinegar.You can store and refrigerate for about a week. *Boil 2 cups of water in another pan and let it cool.Add one cup of boiled water to the pickle and add salt to taste.Simmer and wait till the sauce thickens.Finally add the sugar and fenugreek powder.